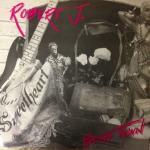 Sign up for Broadjam today to follow Robert J., and be notified when they upload new stuff or update their news! 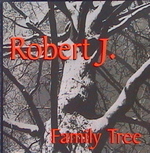 This CD marks the debut of Robert J. 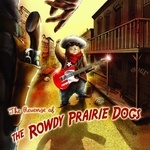 's Americana/Country Rock band "THE ROWDY PRAIRIE DOGS! Click on song titles for LYRICS! In stores on now. CD Release Party on April 4th at The Brink in Madison, WI. 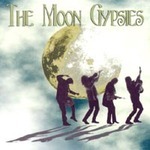 The Moon Gypsies second CD. 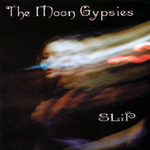 Harley-Davidson Tribute plus songs from the first two Moon Gypsies Cd's. 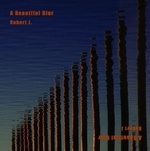 Enhanced Cd with 10 minute video. 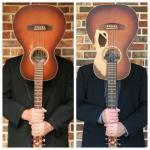 Songs about family, love, loss and redemption! Temporarily out of print! You can download songs here. Temporarily out of print! You can download songs here. Click on song titles for LYRICS! I try to talk to you but you're a million miles away. When you look at me you're a million miles away. Is right here with me. Got a sky blue ceiling and a sky blue floor. When the only cloud you see is cloud number 9. This flying feeling won't let me down this time. But this time it feels, I may never land. Where a tear of joy is the only rain that falls. Where the sun always shines and the moon's always full. a little ditty about the music that goes up and down the Mississippi River. They got the stuff I love they got the Blues they got the country and the good old rock and roll. Take a steamboat to New orleans, listen to the Dixieland jazz band play. Mississippi music just a big gumbo, from the Mini-Apple to the Gulf of Mexico. 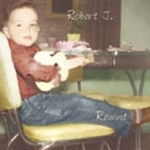 You're gonna like the real Robert J.
Gonna rock my blues away. From the Mini-Apple to the Gulf of Mexico. A simple statement begging to come backe to the one I love. I like to write "ain't songs" just to get back at my english teachers. I ain't got nothing, nothing but the Blues. I ain't going nowhere, there's nowhere to go to. Now I'm back and I'm asking you to save me. I ain't got nobody, nobody to talk to. I"m too happy to tell you about the blues I've been through since I fell in love with you. About all the friends I made on the ship of fools. Yea I do and I don't want to bring you down. About the king of the mountain and all about his big fall. You take all those blue days and kiss them goodbye. Long distance love about a man who goes to Nashville to find his dreams and promises to come back for his girl. To take you down the Dixie Highway". Wherever I go I will always love you. Singing I'll be back for you someday. To take you down the Dixie Highway. To take her down the Dixie Highway.